Teenagers may love to argue, but learning to do it well is critical to their development as well-informed and active citizens. 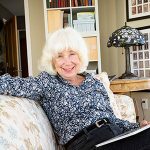 “Student writers have always struggled with creating arguments that were respectful, well-developed and supported with data and evidence,” says Donna Pasternak, professor of English education and director of UWM’s National Writing Project affiliate site, the University of Wisconsin-Milwaukee Writing Project (UWMWP). 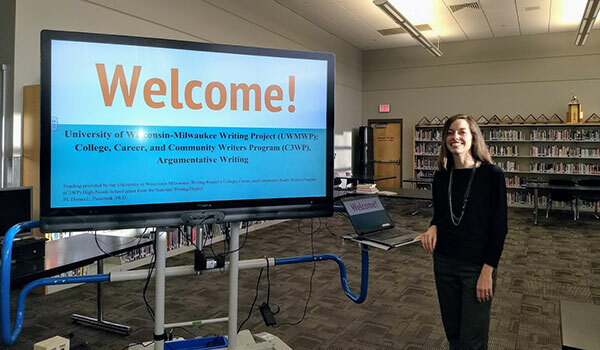 The School of Education houses the UWM Writing Project, and working in collaboration with local teachers, has supported teachers across grade levels and disciplines to help K-12 students improve their argumentative writing over the past two years. 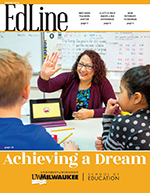 Research showed the students taught by the teachers involved in this professional development significantly improved their ability to write persuasively between the beginning and end of the school year. UWM and the teachers are working through a grant-funded program called the College, Career and Community Ready Writers (C3WP). 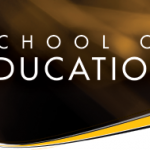 As an affiliate site of the National Writing Program, UWM received two awards of $20,000 to work with teachers on this critical skill. UWM worked with 18 teachers in southeastern Wisconsin schools in 2016-17; then focused on teachers at high-needs schools in 2017-2018. All of the teachers involved the first year were teacher leaders who had been part of the UWM Writing Project’s invitational summer institute. Those involved the second year were a mix of teacher leaders and new fellows interested in studying this topic further. The goal, says Pasternak, was to support teachers to teach their students to write argumentatively about a topic, and substantiate their arguments with evidence from credible sources. Students were evaluated at the beginning and the end of the school year with their writing assessed on their skill in creating arguments, supporting them with evidence, and distinguishing credible sources. After the advanced institute with the site’s teacher leaders in 2016-2017, the project received a second grant through the National Writing Project in May of 2017, specifically to work with a high needs school. Three teachers at Bradley Tech had taken part in the first year of the program, and continued it into the second year. 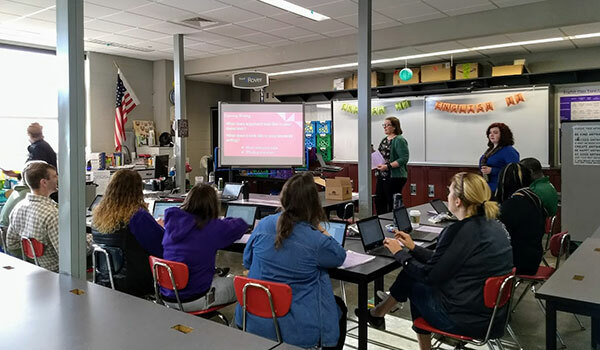 Bradley Tech’s Science Department and English Department had worked with UWMWP several years ago on two separate onsite institutes on writing so teachers were already familiar with working in collaboration with the university. A student teacher joined the project in spring 2018, and the seven teachers met weekly with Pasternak, starting in August 2017, and on their own to introduce the argumentative writing process into their classrooms, developing lessons around literature readings like “Romeo and Juliet” and “Animal Farm,” as well as articles, political cartoons and stories about gangs, policing and other community issues. Between August 2017 and April 2018, results showed that 67.2 percent of student writing samples contained a claim that was nuanced, debatable and defensible, an increase of 15.2 percent. In addition, 70.2 percent of student writing samples competently and effectively selected evidence to support claims, an increase of 35.1 percent. Finally, 50.7 percent of student writing samples competently and effectively explained how the evidence connected to the claim, an increase of 31.5 percent. The C3WP program is now at 50 sites in 41 states so there are already examples of how students have used the writing strategies they’ve mastered. Students at a Montana school, for example, wrote letters to the editor about challenges to ambulance service in their rural area. The letter sparked community debate, and led to a ballot measure that resulted in county voters approving continuation of the service. Many of the students at Bradley Tech also wrote to real people about issues they were concerned about. The seven teachers also offered professional development to colleagues at the school and shared the argumentative writing techniques at a community meeting. Nationally, the C3WP has an overall goal of improving participation in democracy. 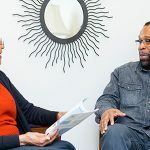 The National Writing Project summed it up in an article titled “For the Sake of Argument,” published by the American Federation of Teachers in spring 2018.